^ 1.0 1.1 1.2 1.3 Eritrea. World Economic Outlook Database. International Monetary Fund (IMF). April 2016 [2016-06-21]. 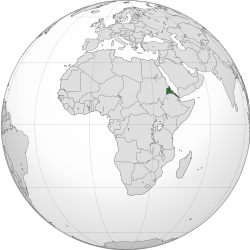 ^ Country profile: Eritrea. BBC News. 2008-06-17 [2008-07-01]. ^ Government – overview. World Factbook. CIA. 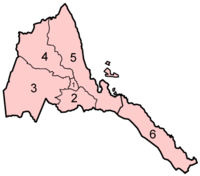 2008-07-24 [2008-08-06]. ^ 冒死闖歐洲︰細看厄立特里亞人尋求安全的絶望旅程. 無國界醫生 MSF. [2017-03-15] （中文（繁體）‎）. ^ An Environmental Impact Assessment of African Armyworm Control in Eritrea: An Amendment to the "Eritrean Supplemental Environmental Assessment For Grasshopper And Locust Control".. [2010-05-02]. ^ Eritrea. State.gov. 2011-03-09 [2011-07-17]. （原始内容存档于2011-05-25）. ^ Economy – overview. CIA. 2006-06-06 [2006-06-07]. 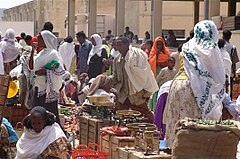 ^ Aid sought for Eritrean recovery. BBC. 2001-02-22 [2006-06-07].